"Derby College has offered me lots of support throughout my course... However, the College has kept me on track and has been very open to helping me respond to any challenges." 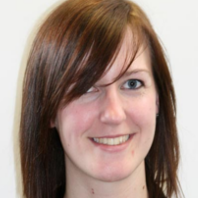 Rhiannon Elliott has not looked back since embarking on the PGCE. Formal teacher training was critical for her role as a Travel and Tourism teacher at Derby College – and she feels particularly fortunate that she could achieve her ambitions through part-time study at the College itself. She gained a nationally recognised qualification without having to move away from home. And so enjoyable was her learning experience that she has now begun studying for a Masters in Education with the University of Derby.